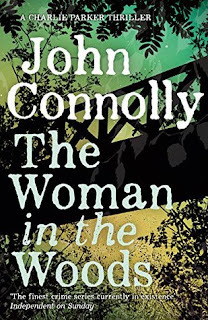 The Woman in the Woods, the latest Charlie Parker book by John Connolly, just came out. Even with having to read Downbelow Station and the next Black Company book, Shadow Games, I will start reading the Woman at once. These days, Connolly's books are the pretty much the only ones I let trump whatever else I'm reading. 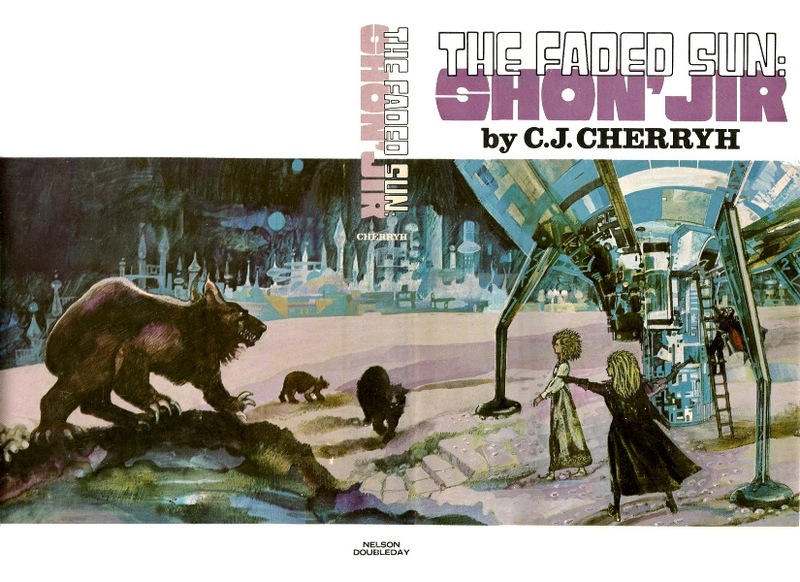 I'm came to the Charlie Parker books sort of backwards. A few years ago, I saw a solid horror movie with Kevin Costner called The New Daughter. 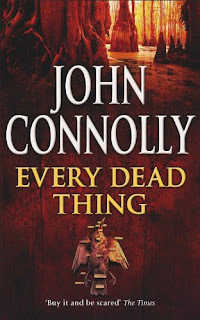 At some point I found out it came from a short story of the same name by a guy named John Connolly. 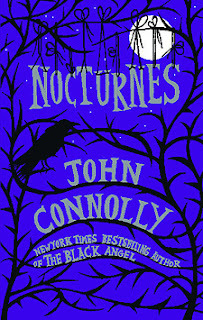 The story was in a collection called Nocturnes. I bought it, read the "The New Daughter" first, then worked my way through the rest of the book. The story is much better and weirder than the movie and the rest of Nocturnes contains some of the best contemporary horror. I recommend it highly. When I was looking for Nocturnes on Amazon, I saw he'd written a crime series with a detective named Charlie Parker. From the too-cute-by-half name and the fact it was twelve books long I figured it wasn't for me. It had the distinct look of an airport thriller an I wasn't flying anytime soon. The thing is, apparently, one of Nocturne's big selling point was the inclusion of the Charlie Parker novella "The Reflecting Eye," - airport fiction it is not. 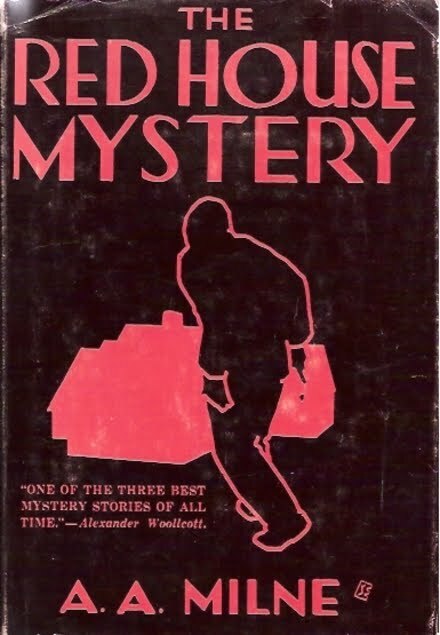 It was killer detective fiction with some really cool supernatural creepiness. 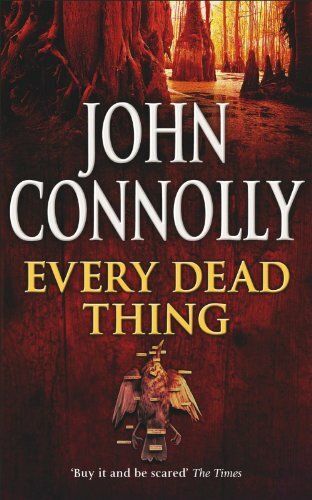 It was so good, I tracked down the first series book, Every Dead Thing. EDT blew me away. In the first couple of pages Connolly ran his protagonist through the ringer. Not even James Lee Burke's Dave Robicheaux has never suffered as deeply as Charlie Parker, and that's saying a lot (sidenote - the Robicheaux novels are some of the most well written and powerful crime books, a description which is completely inadequate, around). That half way through there was a car chase on Todt Hill in Staten Island, my home town, made it just that little bit more enjoyable. I quickly got my hands on the next six books and read them back to back. A year later I read another four and last year I finished off the last three. Up to date, I had to wait, quite impatiently, for last week to roll around. The day The Woman in the Woods became available I bought it and started reading it. Normally, I'd be done with it already, but the demands of Black Gate superseded my natural inclinations for once and I'm forced to read it more slowly than I'd prefer. Such is the reading life of a volunteer book blogger. 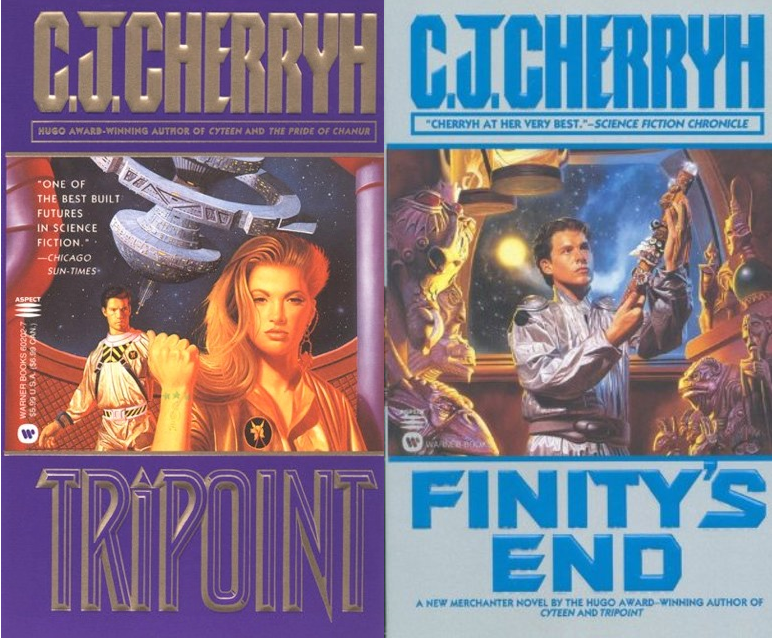 I am not a fan of long series, particularly unfinished ones (I saw some authors on Twitter the other day upbraiding a reader for refusing to buy books in an unfinished series. Screw that noise, is all I have to say to that nonsense.). Nonetheless, I dove headfirst into a massive series with no knowledge it might be ending any time soon. Once I read "The Reflecting Eye" and Every Dead Thing, those things didn't matter in the least. I have two defenses, and both rest on me not knowing what I was getting into with Every Dead Thing. First, I just assumed it was an essentially endless series like so many modern ones. There'd be some episodic elements and character evolution, but essentially the series would go on until the author was ran out of steam. Secondly, I didn't know how crazy and how the supernatural elements would become. In fact, while the supernatural's present in EDT, it could reasonably be read as Charlie Parker going mad. If memory serves me, it's not much different in the second book, Dark Hollow. 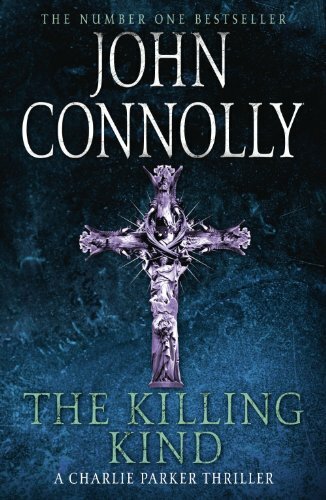 Again, drawing on my decreasingly reliable memory, the third entry, The Killing Kind, is where Connolly pulls the mask off enough to let the reader know these books are not just really dark hard-boiled stories, but batshit crazy horror writing. 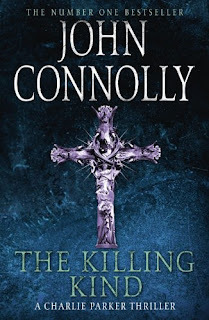 The Killing Kind is where Connolly introduces the term honeycomb world. Reality isn't just what we humans see around us. It's a place riddled with pockets of evil and weirdness where schemes and plots unravel in places darker than the shadows. Once introduced, it becomes the defining theme of the series. Nothing can be assumed, because there are definitely principalities and powers at work behind the constant barrage of horrors visited on Charlie Parker and his friends. The only series I've read more of is Terry Pratchett's Discworld, but that's really several series set in the same world. Connolly's is sixteen novels and a novella all (save one) starring Charlie Parker. There's a great arc to the books that's still taking shape. Whether Connolly's leisureliness is a plus or minus depends on the reader. My own opinion has varied from book to book. Sometimes, the story is so powerful it doesn't matter to me a whit that there's not an inch of movement along that arc. 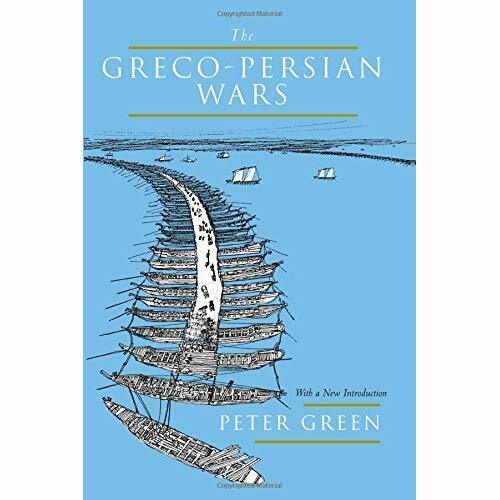 A few times, books dedicated wholly to racing up the great arc are less gripping than I hoped they would be. Still, none of them was less than "really good" and most are freaking great. Parker is broken multiples times, sometimes by malign forces, sometimes by his own deliberate stupidity. Still, he staggers back up every time to face off against evil. He has gradually emerged as a tool of justice, often for the weak and abused. On a basic level, it's just pulp fiction, but Connolly writes with fire and crafts tales of terrible power and, sometimes, dark beauty. 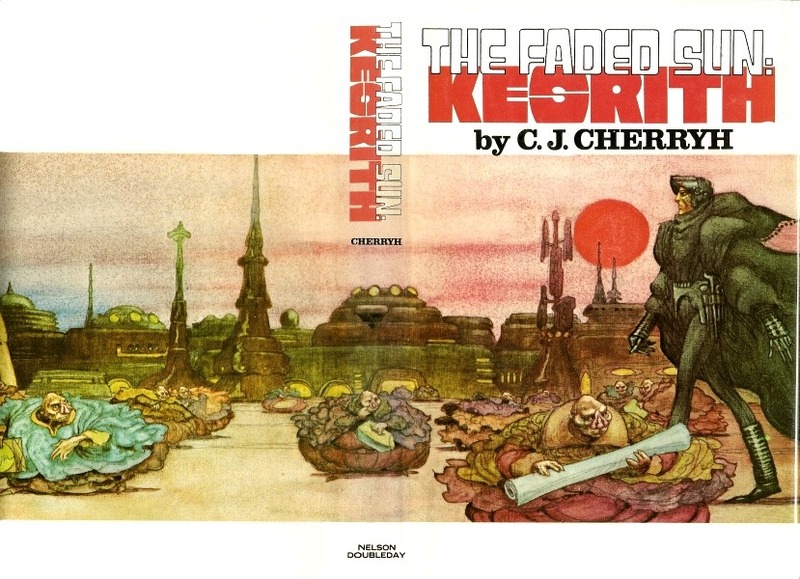 The strength of the very best pulp fiction (see REH) is that in the hands of a master it can be used to tell of essential truths and create heroes drawn from deep, cultural archetypes, that speak to the reader on the deepest levels of myth. If you think I might be out of my mind, grab a copy of Every Dead Thing and decide for yourself. If you don't know, Adrian Simmons and I are kicking off a book club over at Black Gate. 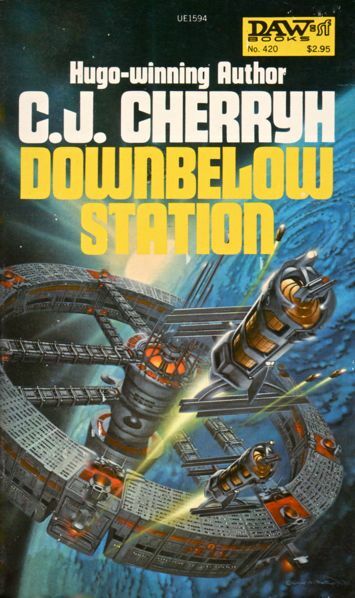 This time (I don't know how often we'll do this), we're reading CJ Cherryh's 1981, Hugo-winning Downbelow Station. 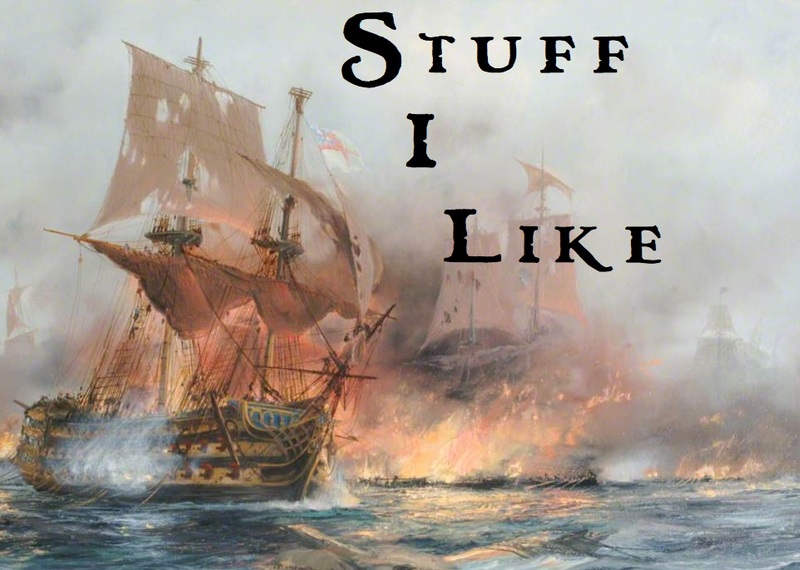 It's the story of the last days of a war between the space fleets of the outclassed Earth Company and the seemingly unstoppable forces of the colonial Union. 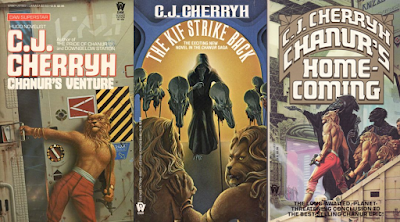 Brutal starship commanders, weak-willed bureaucrats, desperate refugees, and cuddly aliens struggle to make some sort of sense of events as the war arrives on the front stoop of Pell, aka Downbelow, Station. You can read the first discussion HERE. 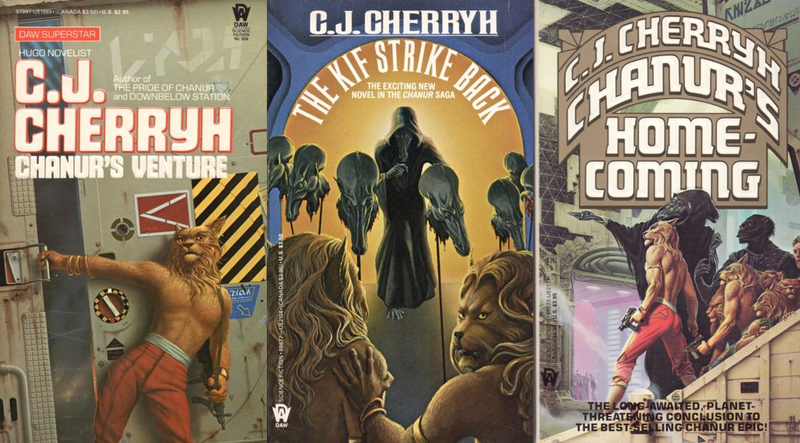 If you haven't read CJ Cherryh and you love space opera, go track her down. I'd suggest on of the thinner volumes - ex. 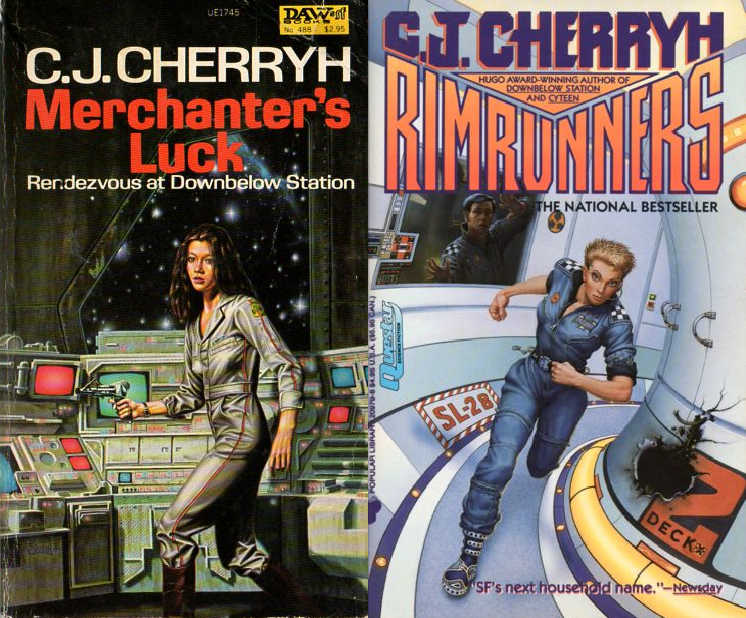 Merchanter's Luck or Rimrunners - first. She's a demanding writer who expects her readers to follow along the road she's made and pick things up along the way. She almost never spends time on exposition. Sometimes characters explain things to one another, but that's a rare moment to be savored. 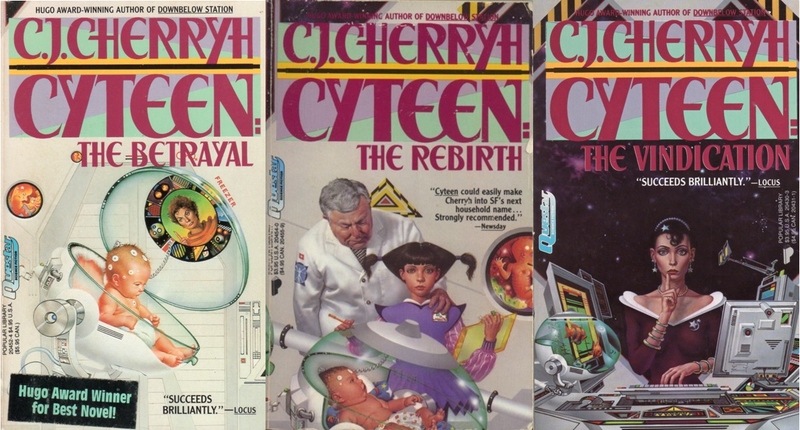 In the 24th century, the giant and complacent Earth Company lashes out at the breakaway colony world, Cyteen. The resulting war between the Company and the colonial Union is brutal and unforgiving. Earth never really understood the lives of space-bound stationers and merchants, let alone that of the clone-augmented populations of alien worlds. Unable to defeat the Union, Earth is slowly ground down. That's where things stand as Downbelow Station opens. Two of the series' books, Heavy Time and Hellburner, take place around Earth early on during the war. Cyteen explores the titular planet and its evolving un-Earthlike culture. Merchanter's Luck, Rimrunners, Tripoint, and Finity's End take place after and in the wake of the events in Downbelow Station. There are several other books that are part of the A-U universe that are standalones. 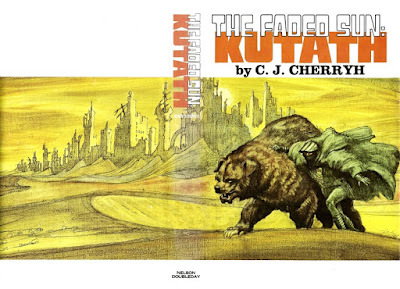 Several of them focus on human-alien interactions. 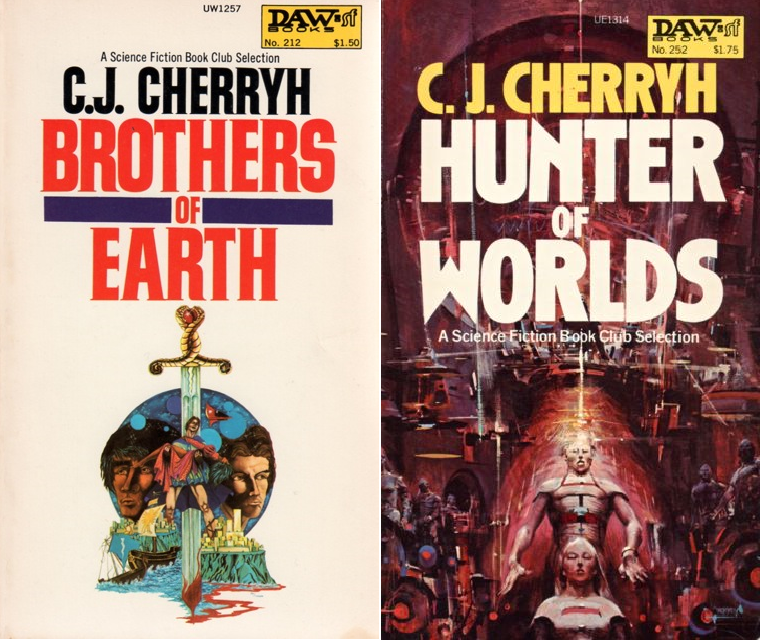 A few, the Faded Sun trilogy and Hunter of Worlds among them, are set many centuries later than Downbelow Station. Finally, and my personal favorites, are the Chanur books. 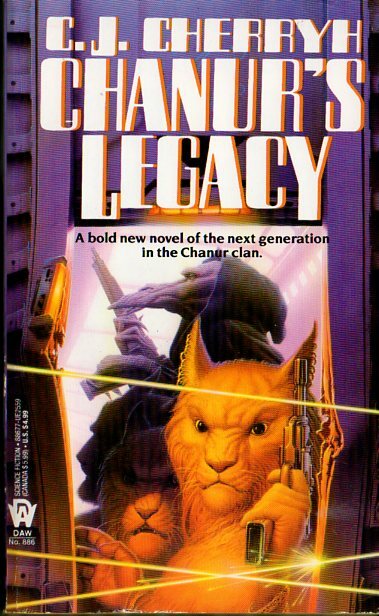 Set in the alien-populated Compact, they tell of the adventures of Pyanfar Chanur and her crew during first contact with humans from Earth. 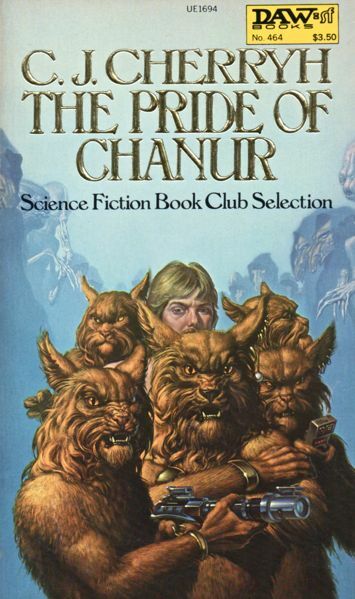 I reviewed the first book, Chanur's Pride, at Black Gate. It came out in 1982 and lost out on the Hugo in 1983 to Foundation's Edge, a decent enough book, but not one anyone's rushing out to read anymore. 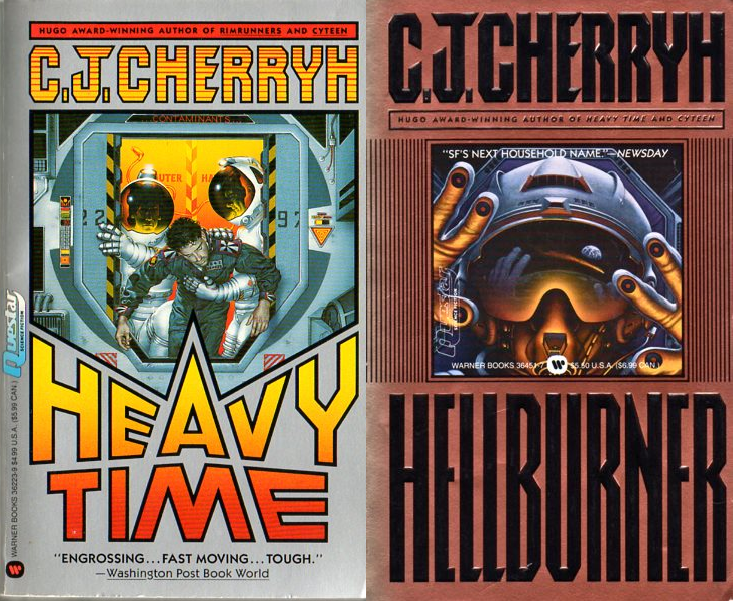 Cherryh's sci-fi, aside from FTL travel, are pretty high on the science hardness scale and the future they depict is deadly. They're tough, sometimes even brutal. Her books may have happy endings, but the price of them is great, and broken characters litter the pages. Some of these books are hard going psychically, but they're absolutely worth it.